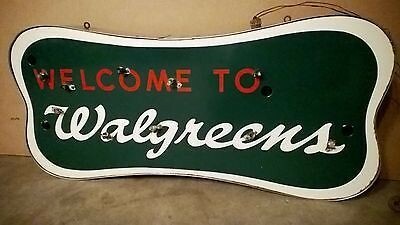 This Walgreens odd shaped neon porcelain sign measures 36″ by 17″. The sign is forest green, red, and white. The sign would have hung from above.